Deciduous, 6 to 12 in. (15 to 30 cm). Zones 5 to 8.
description: The rhizome is short-creeping. Brittle stipes are colored a weak tea-brown grading into medium green. Pinnate-pinnatifid to bipinnate blades with wispy translucent hairs are lanceolate with 8 to 16 widely spaced, opposite pairs of pointed pinnae. The lower pairs are significantly reduced and separated from the next uppermost by at least 1 in. (2.5 cm). Bulbous sori with stellate indusia are marginal and tend to be close to the pinnae rachis. range and habitat: In typical Woodsia fashion, this species is partial to chinks in rock faces in montane habitats, in this case specifically and exclusively the Caucasus. 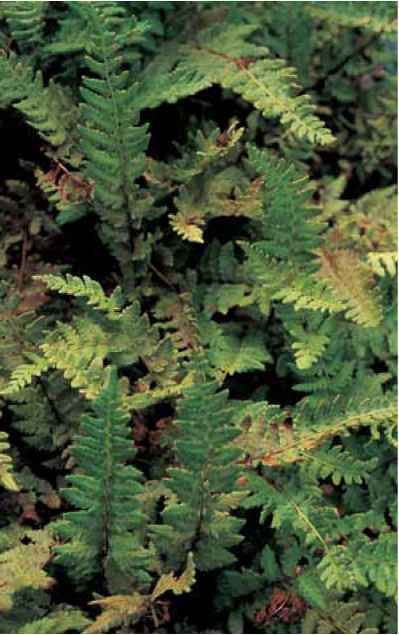 Unlike its relatives, its most vigorous populations are on wet limestone, which is neither required nor even welcome in the traditional fern garden. culture and comments: My 10-year-old plants are growing, without coddling, in a deep, well-drained trough that receives late afternoon sun, water (since they are established) when convenient and necessary for surrounding plants, and little else. The jaunty, bright green, early spring fronds compete with snowdrops for rejuvenating the spirit of the garden as well as the gardener with the promise of springtime's pleasures. it is one of the easiest of these soft and leafy alpines to transfer to traditional garden sites. Deciduous, 4 in. (10 cm). Zones 3 to 6 (to 8 in coastal areas of consistently cool summers). description: The rhizome is erect and carries stubs of old stipes. 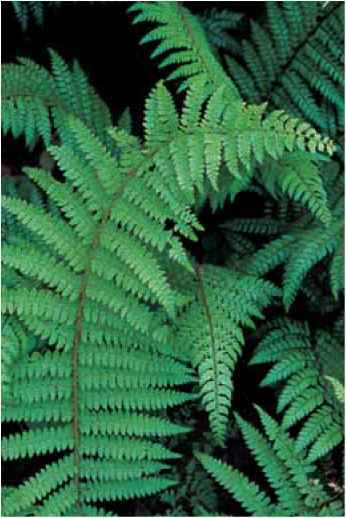 The jointed, black-blending-to-straw-colored stipes are scaly and one-fourth to one-third of the frond length. The linear pinnate-pinnatifid blades, with 7 to 10 pairs of pinnae, are without hairs or scales (glabrous). Sori are in envelopes of upward wraps of indusial tissue. range and habitat: This species is at home in the colder ranges of fern habitats and established circumboreally across the northern tiers of Europe, Asia, and North America as well as in their mountains. It prefers limestone-enriched crags. culture and comments: While rarely available commercially, Woodsia glabella offers an attractive option for the rock garden or limestone scree and should be introduced with ease, but also with attention to the requisite partnership with good drainage and bright indirect light.